Sally Kate Winters Family Services Children’s Advocacy Center celebrates its first anniversary of accreditation under the National Children’s Alliance on January 30. As the accrediting agency for Children’s Advocacy Centers (CAC) across the country, the National Children’s Alliance awards various levels of accreditation and membership to centers responding to allegations of child abuse in ways that are effective and efficient, and put the needs of child first. Accreditation is the highest level of membership with the National Children’s Alliance and denotes excellence in service provision. The Children’s Advocacy Center offers therapeutic care for victimized children throughout Choctaw, Clay, Lowndes and Oktibbeha counties. As a member agency of the CAC State Chapter, Children’s Advocacy Centers of Mississippi, the CAC offers a child-friendly environment to victims and their families as they obtain needed services- forensic interviews, victim support, referrals and court preparation using a multidisciplinary team approach. In 2017, the CAC conducted 226 forensic interviews for cases of felony abuse, a 73 percent increase from the previous year. 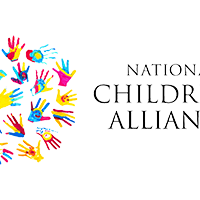 As an accredited member of the National Children’s Alliance, Sally Kate Winters Family Services is dedicated to providing comprehensive, coordinated and compassionate services to victims of child abuse. What Are The Long Term Effects of Child Abuse? Does Race, Age and Gender Affect Disclosure in Forensic Interviews?